The QueensWay is a connector. At its heart is Forest Park—Queens’ third-largest park. 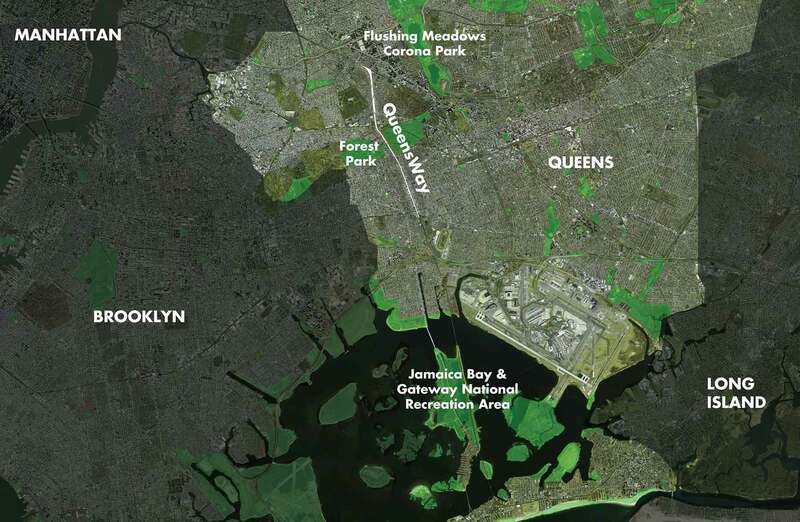 To its south lies Gateway National Recreation Area and the Jamaica Bay Greenway, and to its north Flushing Meadows-Corona Park—two large parks that are a short on-street bike connection away. 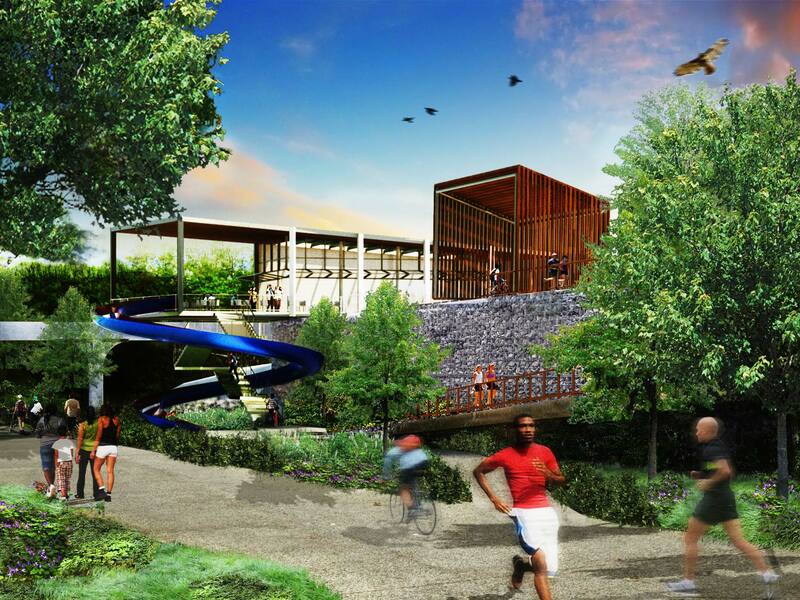 The QueensWay will help to link Victory Field to the Forest Park trails, and a new pavilion with a cafe and comfort station is proposed to create a new gateway for Forest Park. 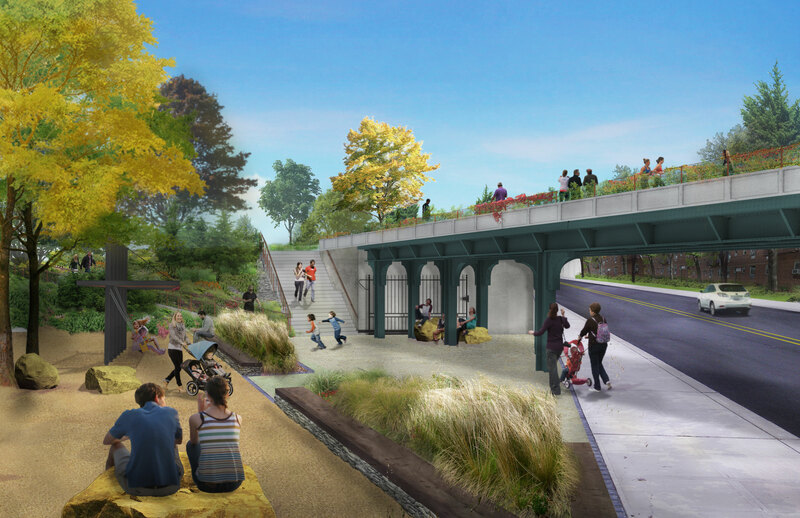 The QueensWay will link the neighborhoods directly to Forest Park. This view shows a proposed entry point at Yellowstone Boulevard, across the street from the Project Eden Community Garden. There are 12 schools within a five-minute walk of the QueensWay and two Little League field complexes directly adjoining the QueensWay. Many of these places are currently difficult to get to without using a car or navigating dangerous roads by bike or on foot. The QueensWay will bolster the City’s new Vision Zero Program by providing an alternative for bikers, walkers, and runners to Woodhaven Boulevard, New York City’s second deadliest street. 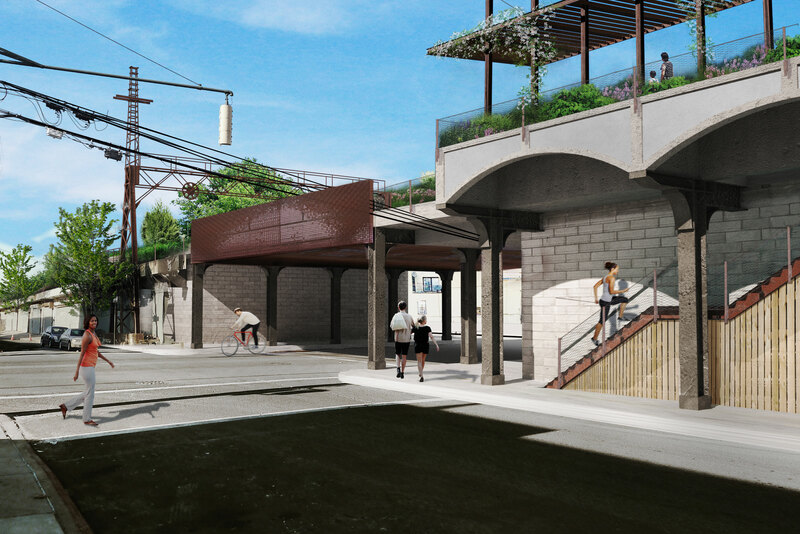 In addition, the QueensWay Vision embraces a “complete streets” approach to enhance pedestrian and bike safety on Woodhaven Boulevard, and other major thoroughfares. See more on complete streets.  At present, about 70% of Forest Park’s more than 900,000 visitors arrive by car, partially due to the dangers of walking and bicycling across major thoroughfares to reach the park. 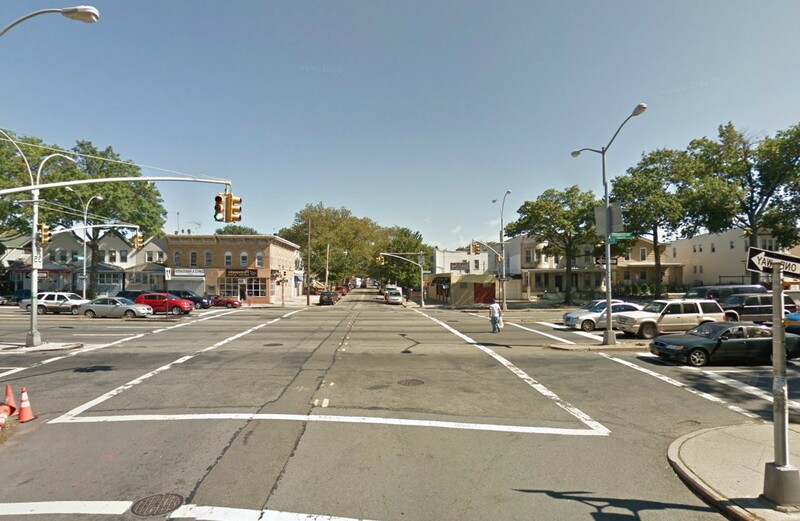 Woodhaven Boulevard is the #1 most dangerous road in Queens.  Using the QueensWay to connect to subway stations, commuters could save 15 – 20 minutes each way to major work destinations such as Midtown Manhattan and Downtown Brooklyn. Residents will also be able to use the QueensWay to connect to stores and other destinations. In addition to connecting local people to open space, the QueensWay can be a gateway and introduction to New York City’s most diverse communities (According to the Furman Center, two of the three Community Boards surrounding the QueensWay are the most diverse in all of New York City).  Many of Queens’ commercial corridors intersect or adjoin the QueensWay—Austin Street, Metropolitan Avenue, Myrtle Avenue, Jamaica Avenue, Atlantic Avenue, 101st Avenue, Liberty Avenue and Rockaway Boulevard—and there are several major Queens destinations nearby. people live within a mile of the QueensWay.  people live within a mile of Prospect Park. people live within a mile of Flushing Meadows Corona Park. Linear parks have a tremendous catchment.  With more than 320,000 people within one-mile of the park, the QueensWay provides nearby open space for several neighborhoods. Just a short distance beyond the QueensWay are many of Queens’ and New York City’s most popular and interesting destinations.